This performance interlaces the movements of a performer with the choreography of the sound. 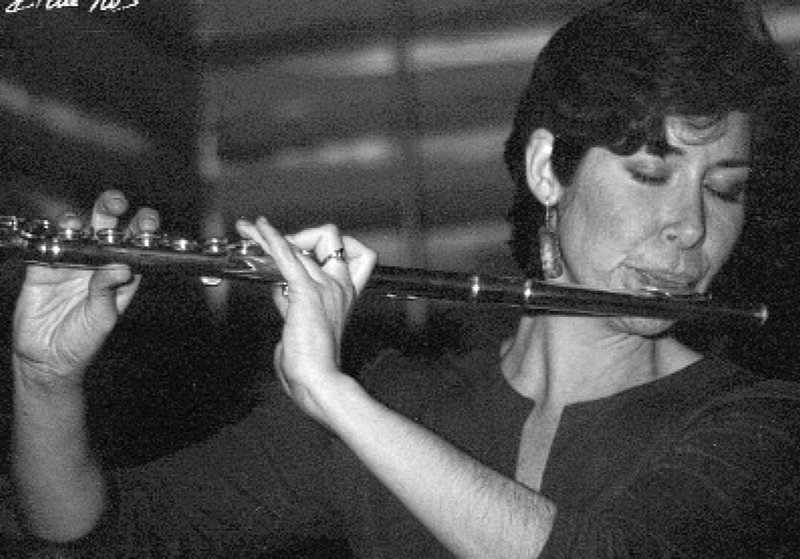 The flutist uses the sound, the room, and her movements to affect the resonances of a space, mixing technology, music, and pathways to discover new meanings of space. A webcam tracks the movements, and a tiny wireless triggering device attached to the flute controls the structure and pacing of the work as well as the sound processing in real time. This work-in-progress is part of the artist’s 2009 Japan-United States Friendship Commission Fellowship Award project. It is based on five months of research into various Japanese dance traditions and spiritual spaces (architectures), and collaborations with traditional and electronic musicians. The final goal of this work is to create an ensemble piece in which two to four players are able to move within a space and interact with the music, each other, and the sound that travels within the space. The spatialization (sound diffusion) is an important feature of the piece, like an additional player in the ensemble.